All of the paid staff of Acción Ministries are Mexican natives who live and work in the Yucatan Peninsula. They are supported by funds from Friends of Accion, Inc. for which U.S. operations are all-volunteer. Oscar R. Dorantes, Director Oscar R. Dorantes lives and works in Merida where he and his wife Patty, and their two children reside. 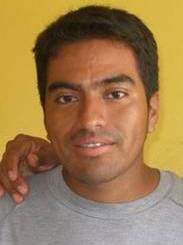 Oscar manages all of Acción’s staff, programs, and volunteer missionaries. 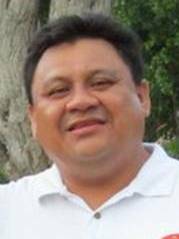 Oscar has been working for Acción Ministries since 2006 and took over the Director position from his father, Oscar Dorantes, Sr., in 2009. 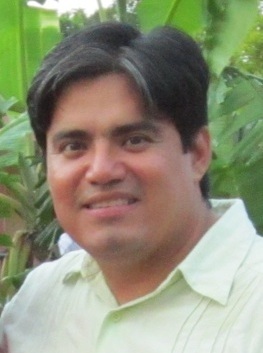 Roger Aviles, Assistant Director Roger has worked for Acción Ministries for the past 14 years. He started out as the Director for the Merida Student House and has been an indispensable part of Acción’s Work Team program as well. Oveth Hernandez, Communications Assistant Oveth is a pastor in training, and a former graduate and Director of the Merida Student House. He has been involved with Acción Ministries for many years, and now serves in a communications role, managing the Friends of Accion Facebook page, and providing general administrative support to Acción. Isaac and Juanita Ricardez, Directors of the Mayan Children’s Village Isaac and Juanita are the Resident Directors of the Mayan Children’s Village. They have served in this capacity since 2009 and have seen attendance grow from 10 students to 30. Kipo Ake, Master Mason Kipo is Acción’s master mason for concrete construction work. He helps with Work Teams to oversee the construction process and do the skilled finishing work. Acción Ministries also employs part-time cooks for the Mayan Children’s Village and Merida Student House as well as a groundskeeper/driver for the Children’s Village, and additional construction masons hired as needed for large Work Team projects. Nik Van Nort, President of Friends of Accion, Inc.